Home » Opinion » Can You Spell That for Me Again? Picking a name for a child is complicated. Parents should choose something that not only sounds right with the family surname, but they should also take future nicknames (good and awful) as well as job opportunities into consideration. Growing up with an unusual name is an experience like no other. These are just a few of the questions and comments that people utter after hearing a strange or uncommon name, like Heavenlee Blue. I always have a new experience after sharing my name with someone. When people see my name, they don’t know if it’s for a boy or girl. Others assume I am deeply religious. However, having an unusual name can do more than strike up a good conversation. “The Sociology of Discrimination,” a journal article from PubMedCentral and the Annual Review of Sociology, shows that racial minorities face name-based discrimination in housing, the classroom and the workplace. “The results show significant discrimination against African-American names: White names receive 50 percent more callbacks for interviews,” the authors wrote in their journal article, which was published in the American Economic Review in 2004. In today’s world, incidents like this one make it hard to have an extraordinary name and try to succeed in life. My mother named me Heavenlee Blue after having complications late in her pregnancy. She had prayed for many nights and days to what she likes to call “Our Heavenly Father, Jesus Christ” for a miracle to allow her to have another child. A few days after her prayers, she gave birth to me, her third child. My siblings have common names, Cassidy and Carl. After their nightmare-turned-dream, my parents felt it was only fitting to name me something of an unusual nature — Heavenlee Blue. With narrow-minded people being in positions of power, people like me who have uncommon names are being judged before we can even open our mouths. 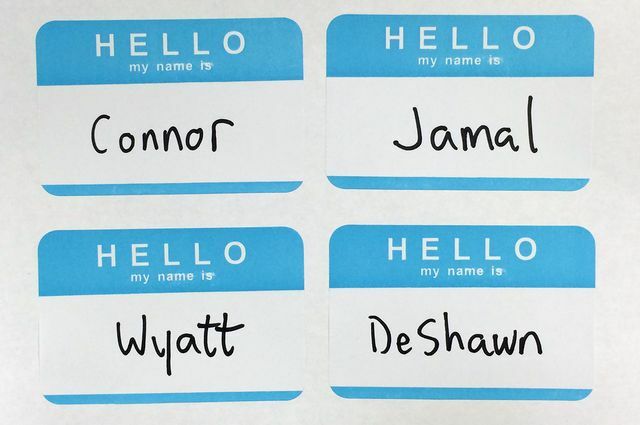 Plenty of people have stated that their peers and teachers continually fail to pronounce their names correctly, demonstrating how society considers “ethnic” names as being odd. And some people even think that we’re dangerous. In a new UCLA study, researchers found that people imagined men with stereotypically black names as being bigger and more violent. As a 6-foot-1-inch-tall black man, I guess it’s a good thing that my parents didn’t name me Jamal or Jaheim. People have told me multiple times that after hearing the name Heavenlee, they imagined a frail and shorter human. “Searching for Shaniqua,” a documentary by Phill Branch scheduled for release in February, explores this modern-day struggle. This is just a daily battle that won’t end anytime soon, but we as people with uncommon names just have to keep proving the narrow-minded wrong. Heavenlee Blue is a writer for TruthBeTold.news and a senior majoring in public relations at Howard University.